Thanks to shows like Storage Wars and Auction Hunters, more people are aware of the US phenomenon known as “storage auctions”. Although these shows are obviously staged, they’re based on real auctions. 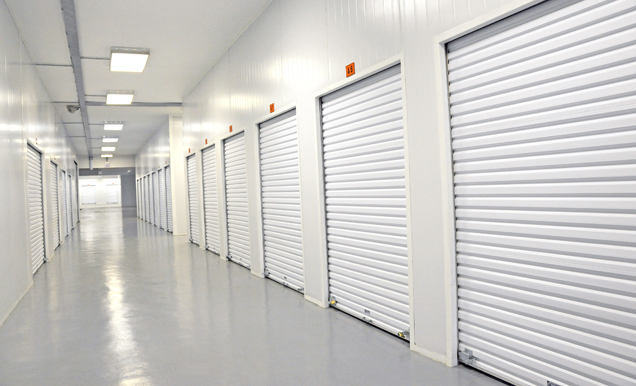 Also known as “lien sales”, self-storage companies hold auctions to vacate non-paying clients from their storage units, in accordance with the enforcement rights outlined in their agreements. Owners of the storage facilities are required to give public notice of their intention to auction off unit contents, for example in printed periodicals or on web sites like StorageTreasures.com or StorageBattles.com. The tenant of a storage unit that is in lien is allowed to pay what’s due before the unit contents are auctioned off, but at the moment the auction begins, the unit and its contents no longer belong to the original owner and can be auctioned off to the highest bidder. Typically people attending a storage auction are allowed only to peer inside from an open doorway; they aren’t allowed to enter the storage unit to look around or handle the items it contains before they’ve bought those items. The popularity of storage auctions continued to grow, given the chance of happening upon unique or antique items. Hollywood wasn’t far behind. Two shows were released in rapid succession– Storage Wars and Auction Hunters. With the popularity of these farcical auction shows, several spin-offs were also produced – Storage Hunters, Storage Wars: Texas, Storage Wars: New York and now Storage Wars: Canada. There have been many examples of storage auctions sans camera crews that have resulted in excellent finds. One of the most famous and successful storage bids was on a unit that, it turned out, contained “Action Comics #1”, the first edition of a comic to feature Superman. The comic fetched in excess of $2 million at an auction, and, in a crazy twist, turned out to be formerly owned by none other than Hollywood star Nicholas Cage. The comic was stolen from his home in 2000. Another find to go down in the history books was an auction of two side-by-side storage units that contained history books signed by former US presidents, Harry Truman’s cane, rare artwork and other items of historical significance. The two units were auctioned for $27,000, but their contents are likely to be worth upwards of $100,000.